History of hold music: How did we end up with Handel tinkling through the telephone? The history and psychology of hold music. Many of us are no doubt plunged into our own philosophical inquiries into the nature of time as we wait—albeit not to such lengths—on hold. (I have found Wittgenstein’s query, “Can time go on apart from events?” to be a useful starting point). Hold is the true purgatory of modern existence, a place of temporary damnation, filled not with cleansing fire but a gentle wash of music, punctuated by occasional glimpses (“your call is important to us”) of the promised land. About that music: While recently put on hold—after first enduring the “confession” ritual of pressing telephone buttons to indicate why I was calling—the sounds of the overture to Handel’s Water Music came through the earpiece of my iPhone. I would not say it came “pouring” through so much as “dribbling”; monaural, faded by distance, troubled by hiccupy signal dropouts. As I listened, I became aware of the oddity of the situation: Water Music is a work executed by a German-born, England-adopted composer—described by Christopher Hogwood as “difficult, unusual, over-interested in food, independent, larger than life in all sense and short tempered with it”—for a politically important “water party” on the river Thames in the summer of 1717. * (Notes Hogwood: “Handel was writing pure entertainment music—music on the water rather than about water.”) How strange that this 18th-century riverboat dance music should now provide the sonic backdrop to the eventual fulfillment of a 21st-century customer service experience. Handel had written tafelmusik—literally, “table music,” for guests at table—but could he have known he also writing telefonmusik? But then I wondered: Who had the idea that there should be a soundtrack at all? Perhaps surprisingly, given that select late-19th-century audiences in Europe had actually received live opera broadcasts via telephone, the idea of hold music doesn’t seem to appear until fairly late in the 20th-century. Today, it is taken as an article of faith that “silent hold” is commercial death (you probably cannot remember the last time you had a telephone wait unaccompanied by something). 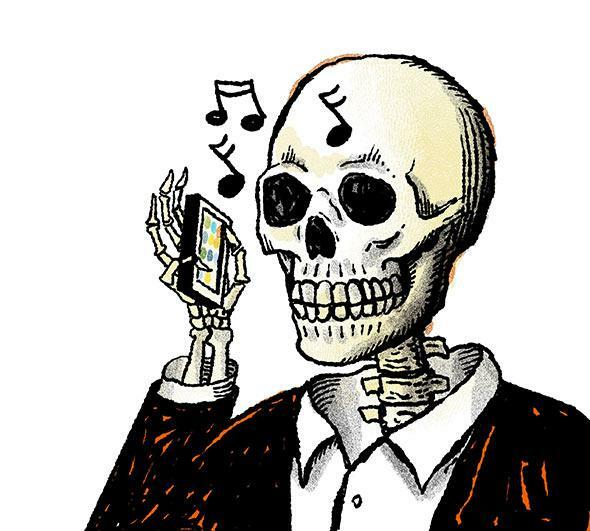 Hazily sourced statistics blare from the websites of hold message companies: 70 percent of callers put on silent hold will hang up within one minute! The industry is these days so established that its trade group (the On-Hold Message Association) even has its own award show (last year’s winner was a Canadian commercial cleaning company). Apart from the original intention of signaling that one is still on an active line, the growth of music and messaging on hold was driven by a simple construct of human psychology: the so-called “resource allocation model.” As the Journal of Retailing put it, “[M]usic reduces the negative effects of waiting because it distracts attention from the passage of time, and, as a result, consumers perceive the length of the wait to be shorter than that when there is no music.” The less you pay attention to time, the faster it seems to go. The longer one feels one has waited, the thinking further goes, the lower one’s satisfaction with the experience. And, generally, research has supported the axiom that, when it comes to waiting on the phone, something is better than nothing. A 1997 study in the Journal of Direct Marketing, for instance, found that callers to a fictitious business reported shorter waits (and higher customer satisfaction) when they heard a range of hold music—from Steve Winwood to Handel’s Water Music (! )—than when they heard silence. But, of course, it’s not so simple. What happens, for example, if you hear music you don’t like? A 1990 study in the Journal of Services Marketing, for example, found that younger people reported their shopping time to be shorter when it was accompanied by Top 40 music; that equation, however, reversed itself for shoppers over 25. And yet music that you like poses another problem, as identified by a study by Nicole Bailey and Charles Areni. “Compared to more anonymous selections,” they write, “familiar music is more accessible in memory; hence, more events are associated with the target interval, which expands perceived duration.” Of course, even anonymous hold music can go on to become familiar, almost loved—in the famous case of Tim Carleton’s “Opus No. 1,” for Cisco. But perhaps when it comes to appropriateness, hold music plays by its own rules. A 1999 study by a team of music psychologists solicited callers in response to a newspaper advertisement. When people called, they were simply placed on hold, in one of three conditions: music by the Beatles, “pan-pipe covers” of the same music, or a simple, repeating message. Curiously, the music that got them to hang on the line longest was not the Beatles but the pan-pipe covers—perhaps, the authors speculated, because it “was rated as corresponding more closely with callers’ expectations concerning typical on-hold music.” Or, per the earlier theory, the more familiar Beatles tunes made the wait seem longer, thus callers hung up. Over time, influenced by advances in other forms of queue management, hold technology has advanced. As with rides at Disney, we now expect estimated wait times (people shown a wait time are up to two times less likely to “balk,” research has shown); companies like Apple will even let you choose a time for a representative to call you back. A lot of wait time is sneakily siphoned off by Interactive Voice Response systems (“press ‘3’ if you are a calling about an international flight.” There are even “tandem queues,” for people with multiple issues (“I’ll have to pass you off to my supervisor …”). Much math and psychology goes into making this seem less painful. But at some point, we all have to face the music.